I’ll be introducing the film tomorrow night (via Skype) for the Daviess County Library in Owensboro, Kentucky and the “Cult Movie Night” program. 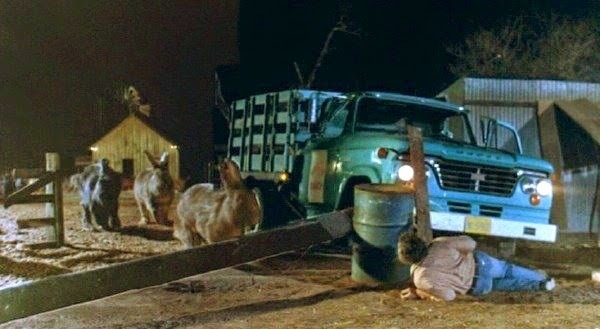 Watching the film again for the first time since I wrote Horror Films of the 1970s I felt a little bad for the out-dated wonders of Night of the Lepus. The movie features a lot of likable performers in it -- it’s great to see De Forest Kelley again, for instance -- and it surely capitalizes on the eco-terror Zeitgeist of its moment. 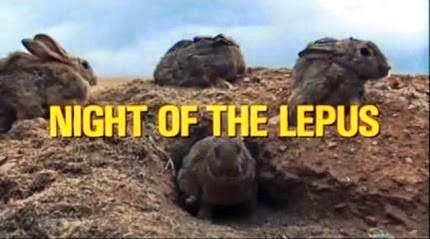 Watch Night of the Lepus, and you’ll see. Had a post about this in my old Live Journal blog for way back. A film that is so totally wrong it's right. I love it so much. The scenes with the rabbits running through the model sets in slow motion gives the movie a surreal, dreamlike quality. This is one of those movies that I sometimes wondered if I'd actually seen or just hallucinated. And it holds a special place in my heart for that. I wrote this a few years ago on a TV/Movie board...seems to echo your thoughts quite a bit. There's so much to scoff at here…where to start? 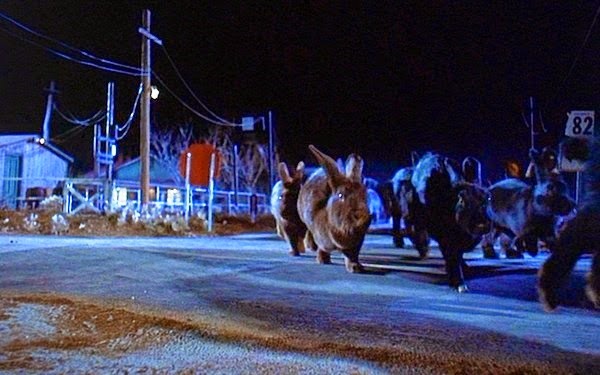 I usually like B-grade Sci-Fi but this story about a plague of rabbits that turns into a plague of GIANT rabbits terrorizing a small Southwestern town is too bad to even see the humor in. 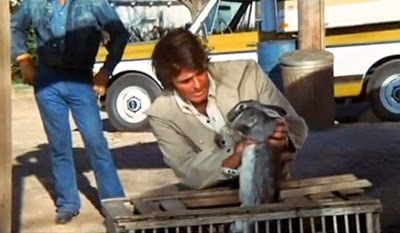 Stuart Whitman is stiff as a board playing Roy Bennett, the lead scientist who accidentally brings about the big bunnies. Look to Star Trek's DeForest Kelley to go through the motions as well. The giant rabbits always look like regular-sized rabbits running in a miniaturized set. In slow motion, no less.